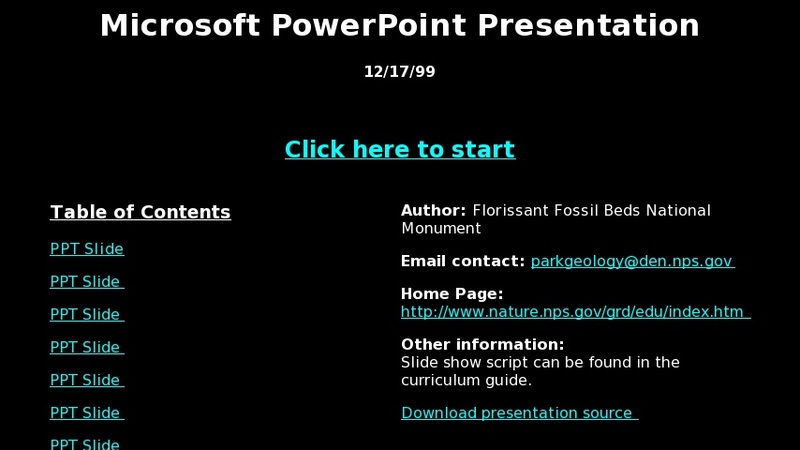 This National Park Service (NPS) educational website contains a presentation for upper-elementary students about fossils and how they form. Detailed photos and illustrations discuss fossil types such as petrification or permineralization, carbon fossils, trace fossils, casts and molds, pseudofossils and index fossils. This slide show indicates how these different fossil types form and are preserved, and in which National Park areas they are found. The parks mentioned included John Day Fossil Beds, Petrified Forest, Agate Fossil Beds, Florissant Fossil Beds, and Hagerman Fossil Beds.